The Bolivian chinchilla is a subspecies of the short-tailed chinchilla. Chinchillas are found in the Andes in South America and are hunted for their fine fur. Unfortunately, this subspecies (only found in Bolivia) is possibly extinct or in danger of extinction in the near future. Short-tailed chinchilla adults reach an average body length of 12 to 13 inches, and tails grow five to six inches long. 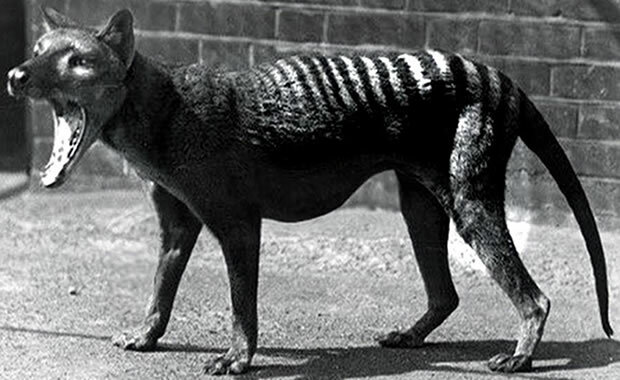 They have thick necks and shoulders, long hind legs which they use to stand up straight, and the short front legs. The average weight is 17.6 to 28.2 lbs. Females are larger than males. The fur of the chinchilla is soft and dense because each of the many follicles that have 60 fine hairs that grow from them. Fur color varies according to subspecies but typically consists of a bluish, pearl or gray upper coat with black tips on the hairs and lighter underparts. Short-tailed chinchillas prefer mountain grassland habitat where they make their dens in rock crevices. They are active mainly at night, only emerging at dusk and dawn to bask in the sun. At night, they are able to travel through the rock crevices using their whiskers to determine if the paths are wide enough to pass through. Diet consists of all sorts of vegetation, such as grass and herbs, and insects. Short-tailed chinchillas are known to live in colonies of up to a hundred individuals, and it is believed that females dominate the males. Mating occurs only twice a year, and females give birth to one or two young after a gestation period of 128 days. The short-tailed chinchilla species is endangered due to habitat loss and hunting for its fine fur. 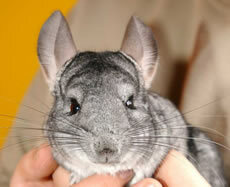 Chinchilla fur has been used to make fur coats, and it takes up to 400 chinchilla hides to make a single fur coat. Also, their habitat is being destroyed due to mining and wood collecting, and they may also compete with other animals that graze in their habitat. Population estimates for the Bolivian subspecies are unavailable, and they are presumed rare and possibly extinct. The species is legally protected, but enforcement is complicated because of the remote areas where the animals are believed to survive. Copyright Notice: This article is licensed under the GNU Free Documentation License. It uses material from the Wikipedia article "Short-tailed chinchilla". Glenn, C. R. 2006. "Earth's Endangered Creatures - Short-tailed Chinchilla Facts" (Online). Accessed 4/18/2019 at http://earthsendangered.com/profile.asp?sp=72&ID=11. Need more Short-tailed Chinchilla facts?